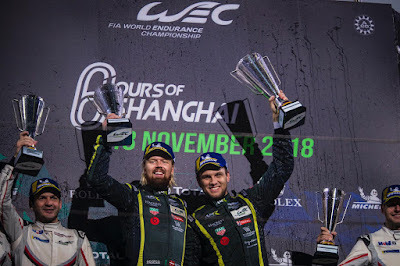 The rain soaked fifth round of the 208-19 World Endurance Championship from Shanghai, China yesterday proved itself to be another significant milestone in the relatively short racing life of Aston Martin Racing's new turbo charged V8 Vantage GTE after a brilliant team performance that so very nearly took both cars to the podium. 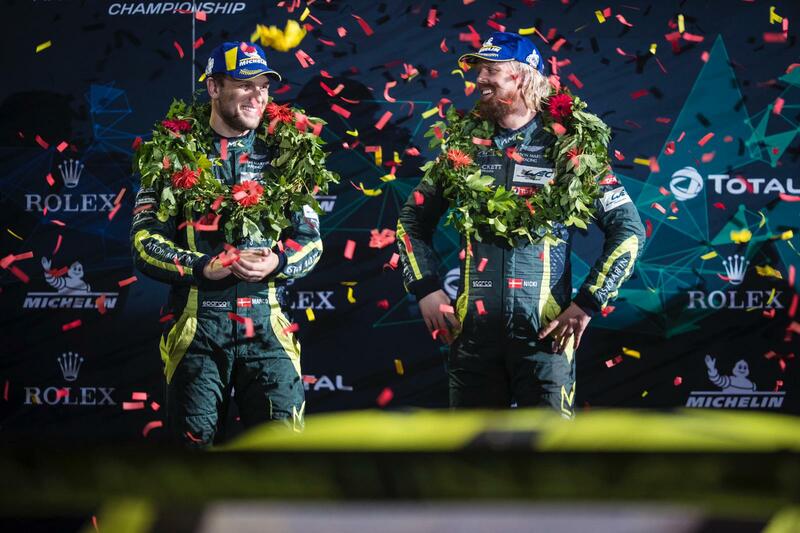 Having only debuted the car at the opening round of this new transitional WEC super-season at Spa Francorchamps back in early May, the team have gone onto to further develop and understand their new race car as well as themselves to attain their very first class pole position with it at the Fuji round last month before taking the significant step forward yesterday in claiming the top step of the GTE Pro podium at this rain affected race. 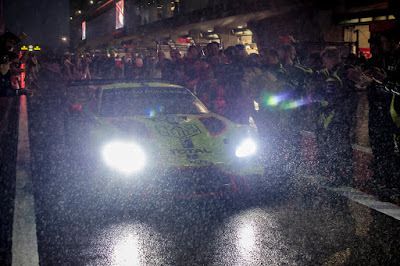 With the meeting having started wet on Friday with the first of the Free Practice sessions, pace was good aboard the two factory GTE Pro cars as Marco Sorensen/Nicki Thiim and Alex Lynn/Maxime Martin looked to make good the errors made at the previous round in Fuji where the drying track left the two Vantages towards the rear of the pack. Despite the drying conditions on Saturday, two excellent laps from both Martin and Lynn pushed their #97 up to P3 on the grid again (same as Fuji) with the sister #95 car not too far (time wise) behind in P6. Race day was always going to be a different scenario considering the extremely wet forecast making for some extremely challenging conditions around the 3.4 mile circuit. 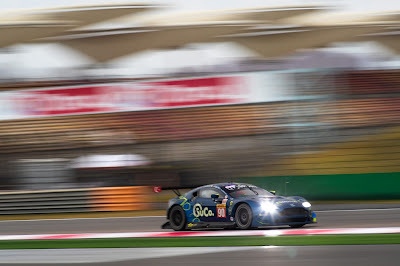 In GTE Am, the #98 car of Paul Dalla Lana, Pedro Lamy and Mathias achieved a last gasp effort to secure class pole by less than 0.1 of a second from the #77 Dempsey Proton Porsche whilst the #90 TF Sport car of Salih Yoluc, Charlie Eastwood and Jonny Adam ended up the session Qualifying in P5 albeit just three tenths off class pole. 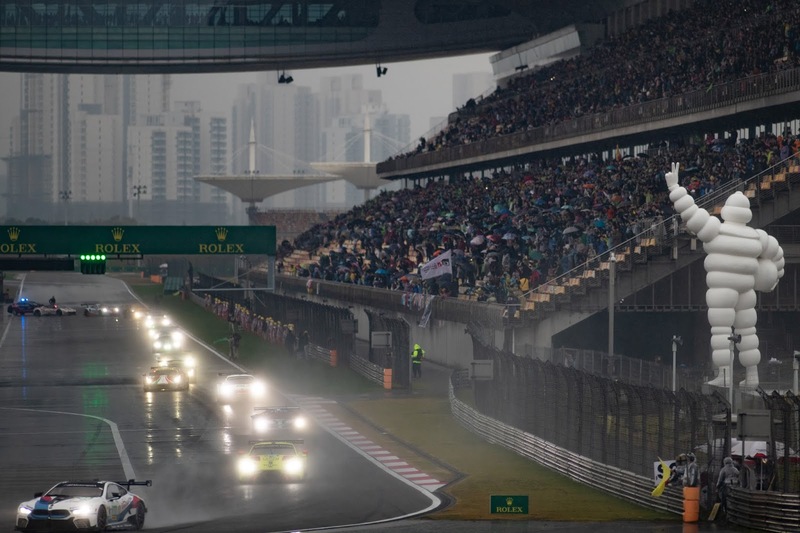 The race sure enough started under low grey cloud belching out a colossal volume of water over what was already a very wet circuit forcing Race Control to start the 6Hours of Shanghai behind the Safety Car but after even just twenty minutes or so of that proceedings were soon red flagged to allow the weather front to pass by. Once the race resumed with 4:34:00 remaining on the clock track positions remained the same as the start with no overtaking obviously permitted behind the Safety Car - pit stop strategies, fuel consumption and tyre wear were all up the air due to the delays leaving all teams to calculate their position off the cuff. Any chance of a competitive finish for the #90 TF Sport car came at the resumption when either a miscalculation from Yoluc or the effects of aqua planning shot the blue Vantage GTE off at the final corner and into the gravel trap - miraculously avoiding the armco barrier that would have caused significant damage to the car but the extraction of the car lost them two laps. After another 45 minutes behind the Safety Car the race would again be red flagged (rightly) due to the non improvement in track conditions which had led to a number of other cars spinning off. The number of racing laps that had been possibly had seen the #97 rise up to P2 in class with the #95 just behind with the #98 car continuing to lead GTE Am and whilst the race was under either a red flag or Safety Car those positions weren't to change! Another half an hour lost to the weather the race would again restart behind the Safety Car before going green with just under 3hours remaining for a final dash to the flag if Mother Nature permitted. 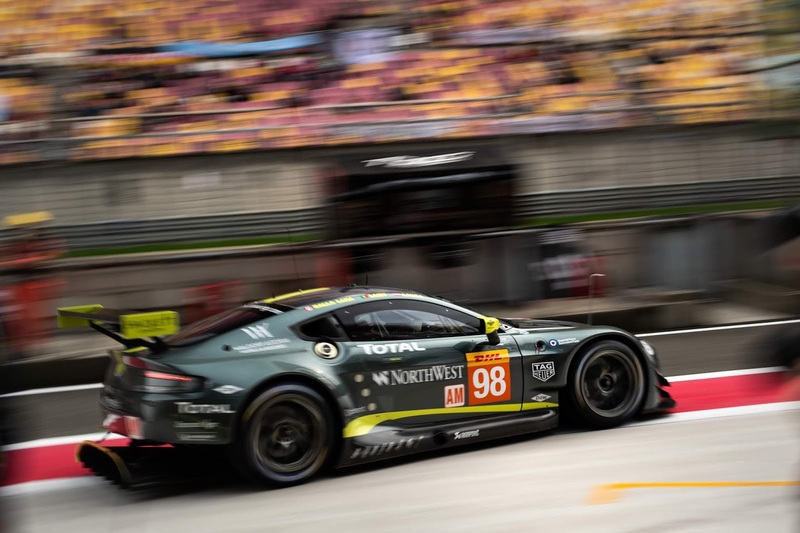 With other GTE cars on different strategies the fuel economies of the new AMR allowed then to go further giving them a wholly justified 1-2 position on track as the Fords, BMW's and Corvette struggled with grip - only the two Porsches appeared to be a threat. 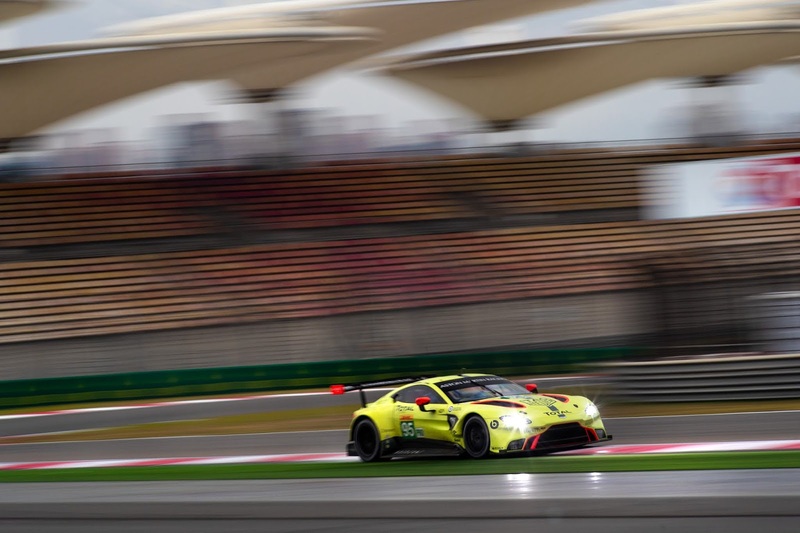 More incidents and accidents on track saw more yellow flagged sectors and/or Safety Car periods but at least the race went on and with the #97 and #95 trading places for the class lead all was appearing to look brighter (for AMR at least) despite the weather. Kudos to Maxime Martin in interview when he praised those who had turned out to the Shanghai International Circuit to watch what turned out to be a very truncated event. With just half an hour remaining the weather appeared to be deteriorating again with visibility decreasing and rain intensity increasing. Despite that the two GTE Pro cars where in the best place (at the front) although both Porsches were starting to cut down the gap to Martin in the #97. Whether or not Martin would have bene able to manage that gap became irrelevant as a further Safety Car was dispatched due to an LMP1 connecting quite heavily with the crash barrier presenting a debris field right across the track. By the time that that was cleared left just seven minutes of the race remaining but with both Porsches now behind the #97. The team have put it down to the differences in tyre condition that put pay to any aspirations of having two AMR's upon the podium with the #92 finally sneaking past the #97 half way around the final lap! A completely bonkers race for all to watch but very profitable for Aston Martin Racing after having watched a similar position in Fuji get away from them as the track dried. 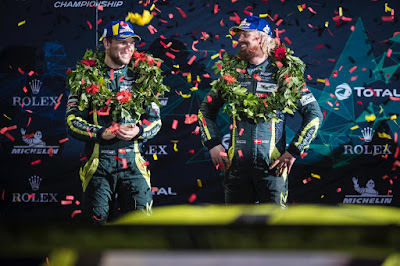 Its all very well having a car that now appears to be very competitive in the wet but we can be assured that the team will be looking at ways of improving the cars performance in the dry as the WEC takes another elongated break before the next round at Sebring in March 2019. 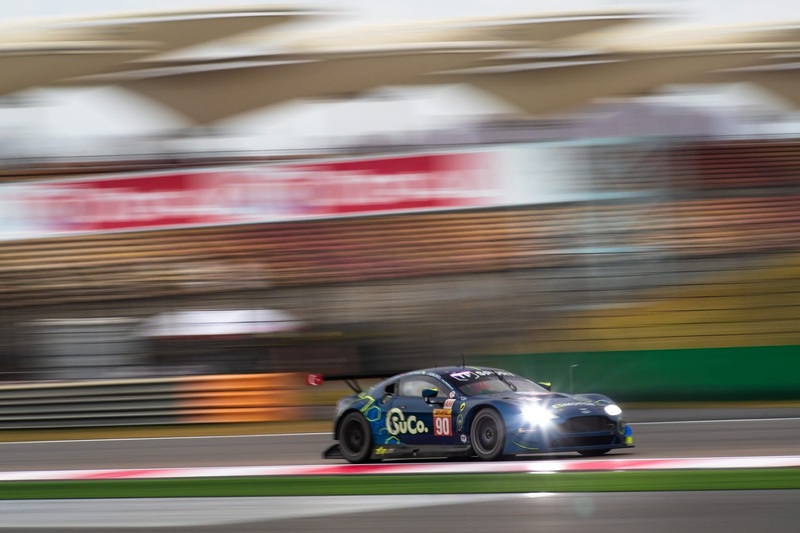 With the difficulties and challenges that a new car brings the performance of the Pro cars in Shanghai will certainly leave them in a buoyant mood despite all the new car building (new version GT3 and GT4) that they have do do over the winter months. Congratulations - you've deserved it!! 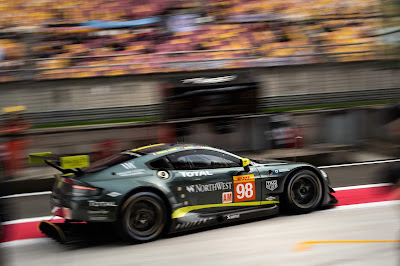 For the two GTE Am cars - Shanghai wasnt to be for either of them with the #98 car ending the race in P5 and the TF Sport car in P8 and two laps down. 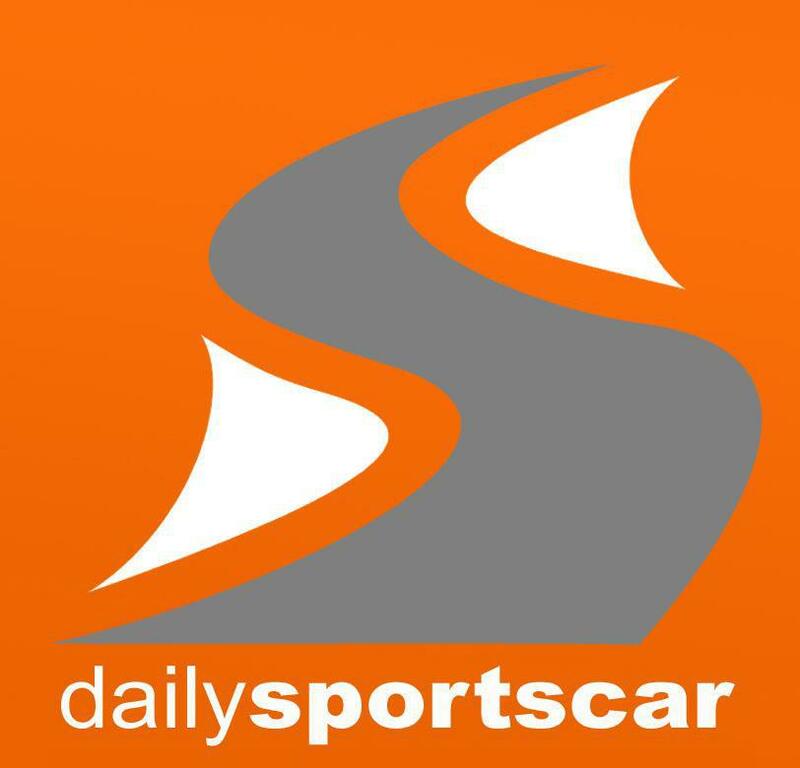 For them however, came the news that the Dempsey Proton team were being penalised (subject to appeal) for their alleged fuel refill transgressions losing all of their Championship points in the process. 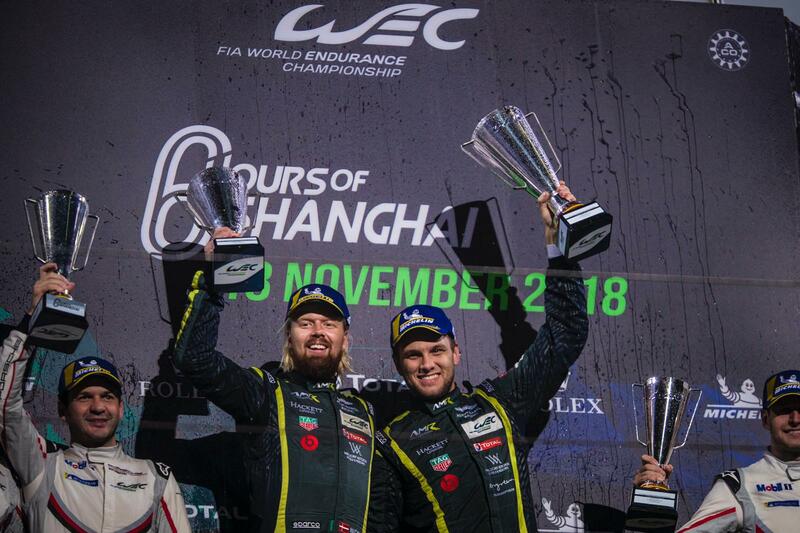 If that situation prevails and despite the Dempsey team scoring well in Shanghai leaves the #98 car second and the TF Sport car P3 in the GTE Am Championship table. Still all to race for in 2019!